Leave a Comment on How To Hang Blinds On A Plastic Window? Not always hostess prefers curtains and tulle to decorate the window opening. 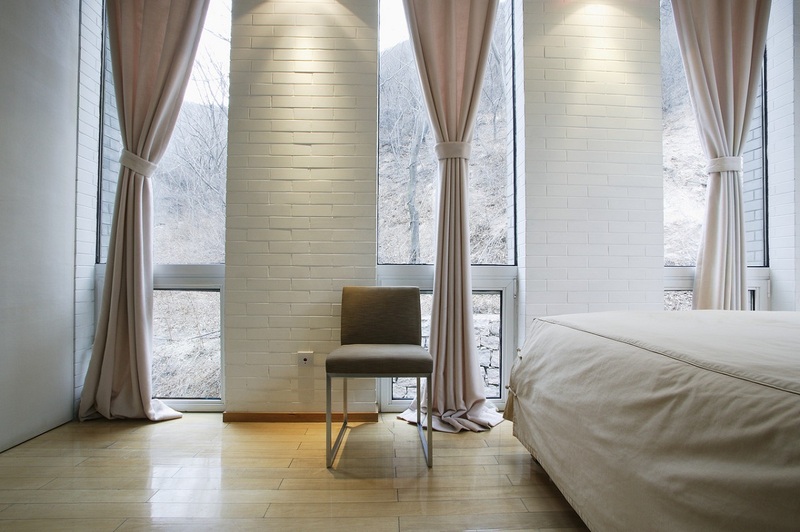 Many of them replace the usual decor blinds that do an excellent job – to regulate the level of sunlight in the room. In addition, this element of the interior serves as an excellent decoration of the room and is well merged into many interior styles. However, installing these products requires certain skills. How to hang blinds on a plastic window by you? What types of blinds hang on a plastic window? Rolled. Such products are made of fabric. They work on the principle of twisting the fabric onto a roller when lifting it up. 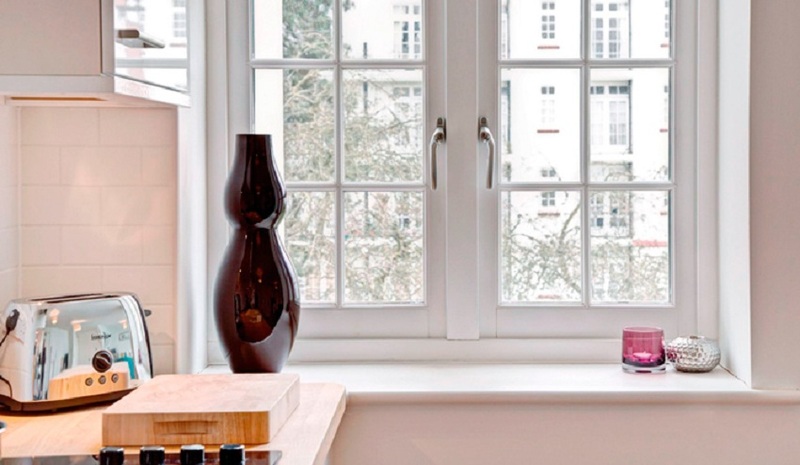 Mini-blinds are installed on the plastic window sash itself with special fasteners. The decor can be mounted on straight or sloped windows. 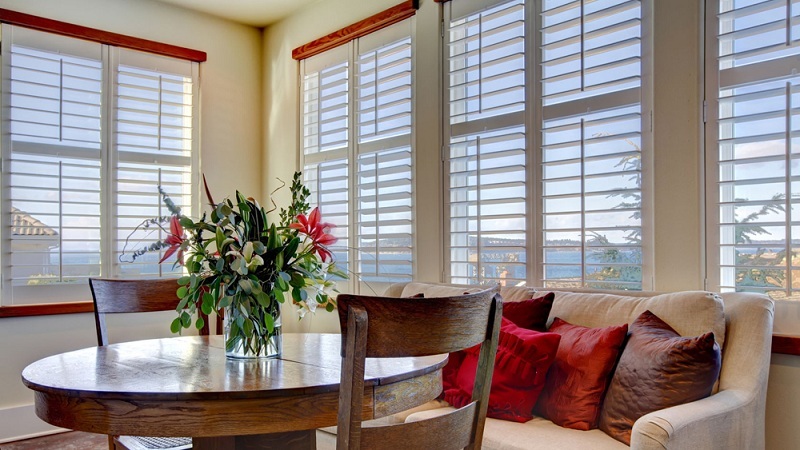 Shutters with blinds can be easily opened. Vertical. In this case, the lamellae are arranged vertically and connected by a ribbon or chain in the lower part. They are made mostly of fabric or plastic. Vertical blinds are rarely mounted on a plastic window because the elements of the mechanism are located very close to the glass, which makes them difficult to operate. Most often, such products are installed on the upper slope, the ceiling or above the window opening. Horizontal. This option of blinds is most often used by designers when it is necessary to decorate a window opening in a practical and stylish way. Slats are horizontally arranged and connected by a cord. For installation on a plastic window special brackets are used. Pleated blinds. Products are an accordion, which is suspended from the window or attached to the cornice. Pleated made of thick fabric or special paper. 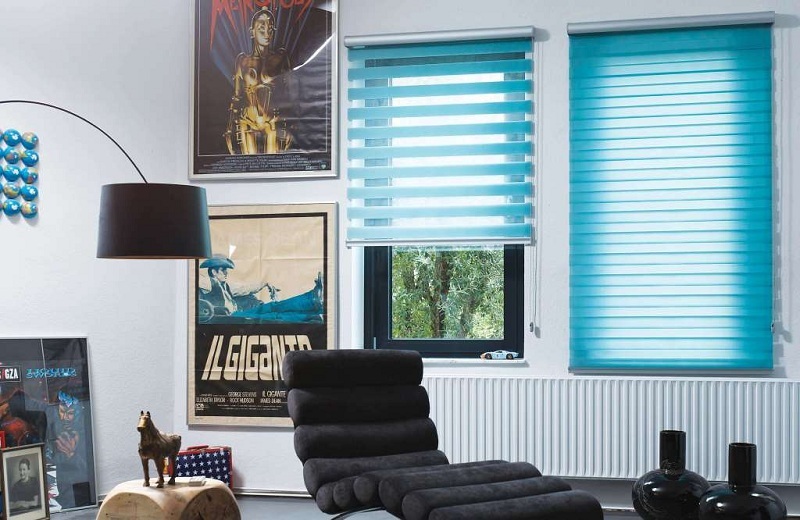 Day-night blinds are a successful alternation of transparent and matte slats arranged horizontally. Mounted usually on the window. Roman curtains. One of the types of blinds, something similar to the pleated. But when lowering the blinds are a solid canvas without creases as in the version with pleated. Such elements are made of fabric, bamboo, straw. There are also multi-veneered blinds, which are vertical plastic lamellae that form intricate patterns when layered on each other. There are also protective products in this category, which are mounted outside and are designed to protect the window from external manifestations, sun, rain, wind, intruders. Made from iron, plastic or wood. First of all, you should focus on the design of the entire room. If the room is decorated, for example, in the Provencal style, the stingy vertical blinds of the “office” type will look out of place here. 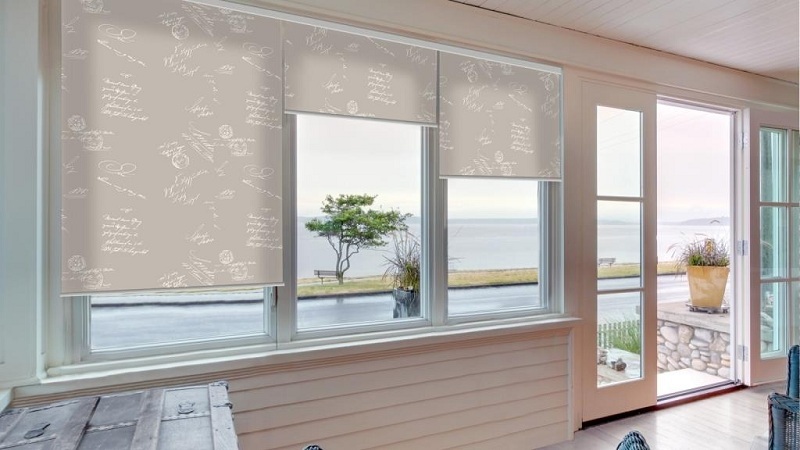 In this case, the best option would be Roman blinds or blinds-pleated with a suitable print. But in a room decorated in the “minimal” style, the vertical model will look optimal. We pay attention to where the products will be mounted: in the window opening, on the wall above the frame, on the frame itself, under the ceiling, separately for each leaf. Depending on this and choose the type of attachment. Carefully take measurements. It is worth remembering that blinds placed behind a horse should be 10-15 cm wider than the window opening. 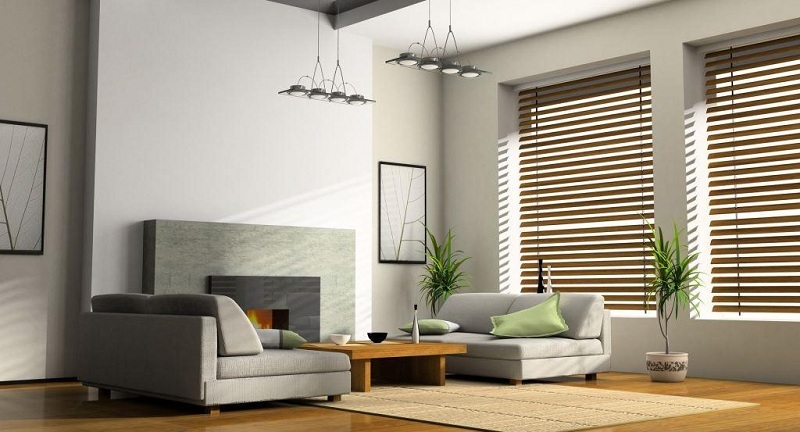 We select the type of blinds – vertical or horizontal. The first option will allow lengthening the space, and the second – visually increase the window. Choose texture and material. Here you should focus on the style of the room and personal preferences. The right color scheme is the key to the success of the window decor. 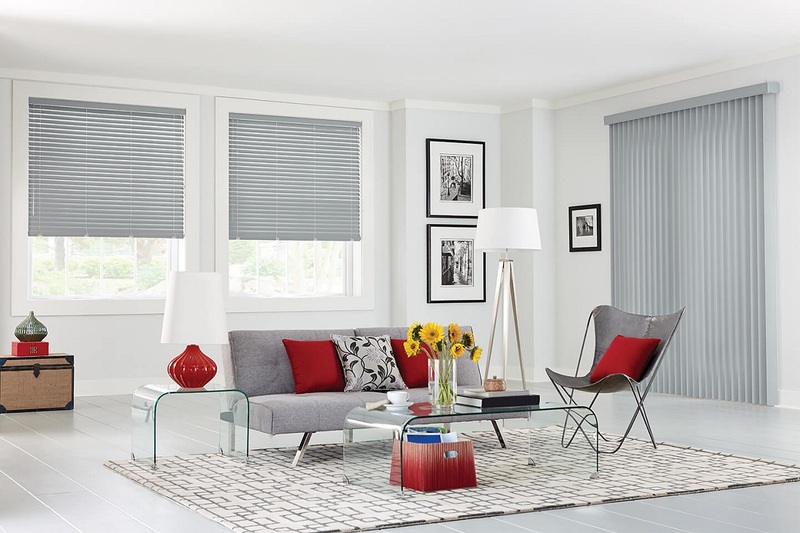 There are several generally accepted design rules – if the room is decorated in dark colors, then the blinds on the windows should be light and vice versa. 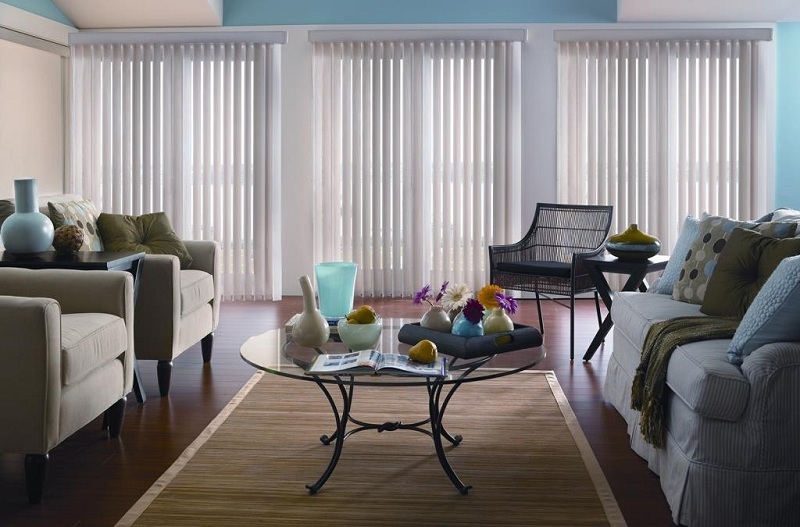 In the kitchen, horizontal blinds look better, and in the bedroom – vertical fabric. After the necessary option of blinds is picked up, it is necessary to start their installation. Markup mounts. It must be made with an accuracy of one millimeter so that the blinds are arranged symmetrically. Drilling holes for screws. At this stage, holes are made up to 3 mm in diameter at the marked places. It is enough to drill one at each angle. A mounting structure on the screws. Installation of blinds on fasteners. After that, you need to check the quality of work. It so happens that you cannot drill a plastic window because of the design features. In this case, you can use super resistant glue. You just need to glue the fastener to the plastic frame of the window. All further actions are performed in the same way as when drilling. Also, within the framework of the gentle installation method, you can use special L-type plastic fasteners as in the photo below, which preserve the integrity of the profile and ensure reliable fastening of the louver. They hooked for the upper part of the window sash. 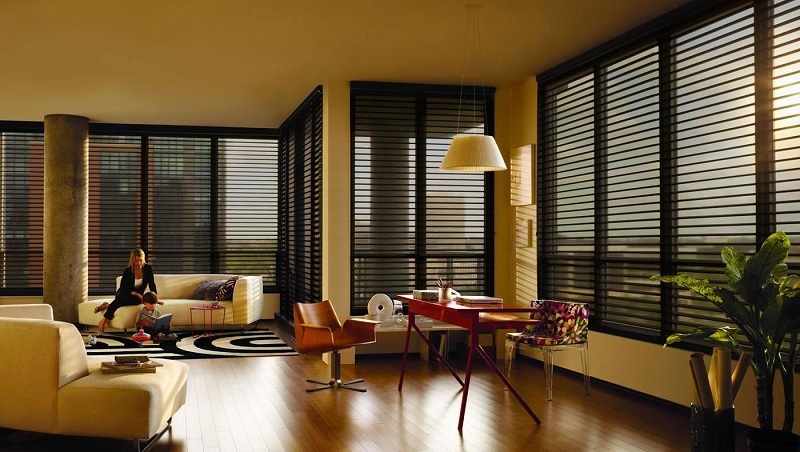 It is better to give preference to blinds produced by well-known brands so that the product lasts as long as possible. The adjustment mechanism should be as convenient as possible during operation, so it is important to take into account the features of the window opening and the location of the window construction. Turning the window handle should not have a mechanical effect on the blinds, otherwise, they will quickly fail. 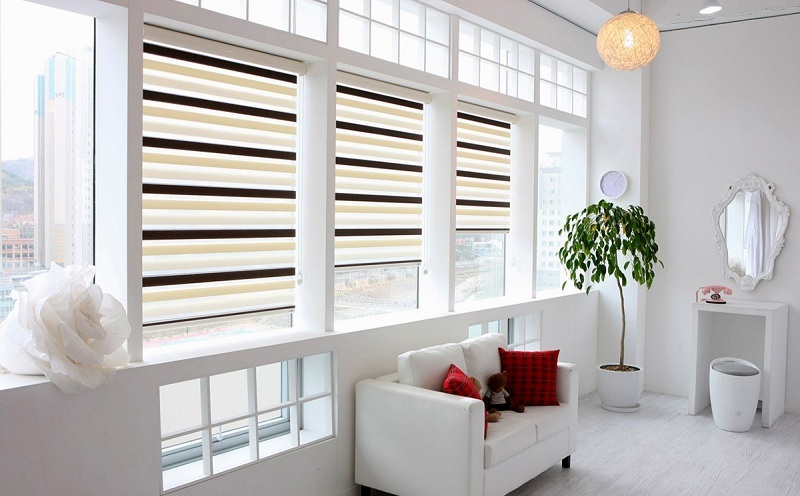 It is necessary to regularly take care of the blinds, preventing them from being thoroughly polluted, since this may adversely affect not only the aesthetic qualities but also make the product mechanism unusable. Using our instructions, you can quickly and easily install blinds on plastic windows, without the help of experts.